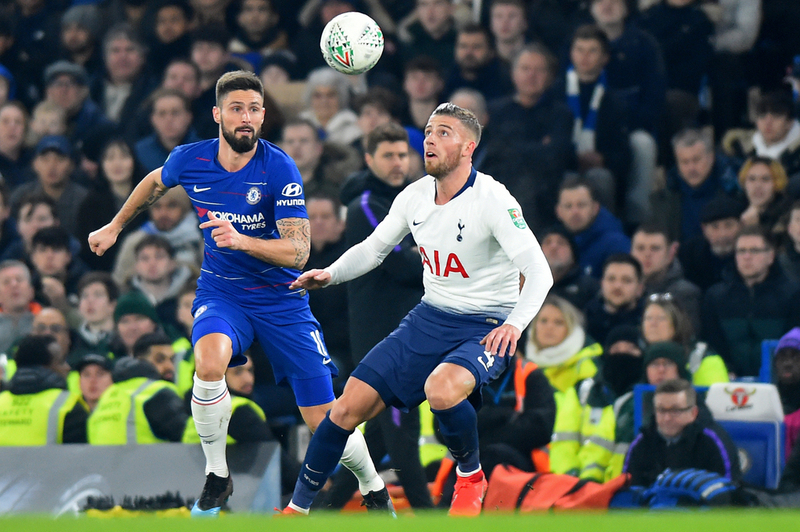 The first selection of the Super Sunday Accumulator with Bet365 comes from Wembley as Spurs look to continue mounting pressure on the top two when they face the tricky Leicester. Injury hit spurs have been superb with there problems closing the gap to the leaders to 5 points and in the league have won six of their last seven in the league and have beat Leicester in there last four meetings. Leicester have been a topsy turvy side this season but have been a tough opponent against the top six this season taking points off Liverpool, Man City and Chelsea but we think they won't on Sunday. 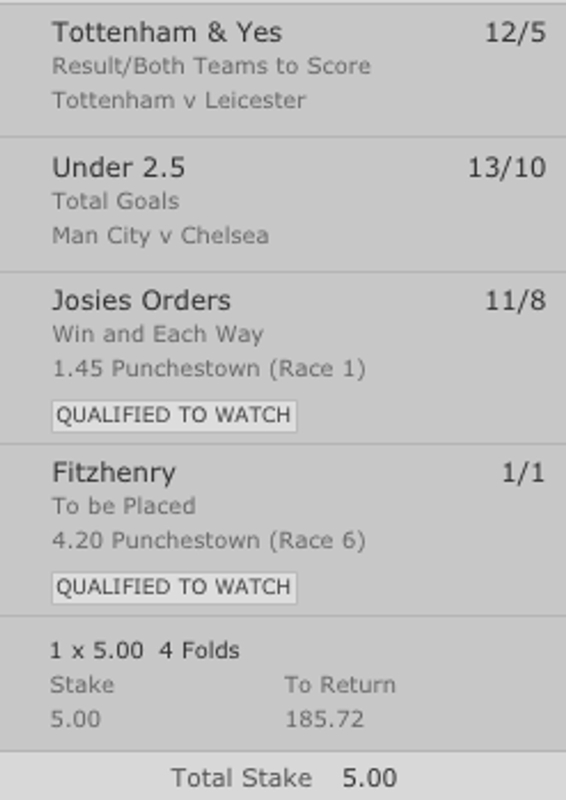 The P.P Hogan Memorial Cross Country Chase, where our selection is Josies Orders. We beleive this J P McManus owned 11 year old has the leading form claims to take the spoils in this large field. Josies Orders is a household name from Cheltenham Festivals far and gone, is very much a regular on the cross country scene now, winning and placing already at Presbury Park this season. Today she is restored to a mark of 135 and from looking at the rest of the field should have enough in the tank to go close. Manchester City take on Chelsea at the Etihad on Sunday evening in what is a crucial game for the league leaders who will be looking to cement there title challenge for the fourth time. City have lost just one game in their last 11 matches, winning the other 10 and putting the pressure on title rival Liverpool. They can't afford to slip up but this will be a tight affair non the less. Chelsea are in a battle for fourth spot with Manchester Utd and Arsenal both breathing down their necks for tat Champions League Spot. With both teams looking for the win we think it will be a calculated and cagey affair and the last four renewals of this game have seen under 2.5 goals in the game and we are going for that again. The big race of the day - not just in terms of distance is the Grade B BoyleSports Sponsors of the Irish Grand National Trial over three and a half miles, with the field so large again. This J P McManus owned horse holds leading claims from the form lne of her last race in the Paddy Power Chase, as Fitzhenry finished half-a-length in front of Solumn Grundy and just eight down on subsequent winner Auvergnat - who has always been a top class horse for Enda Bolger. Usually makes the frame in these big handicaps, including a victory at Naas around about this time last year. Should make a convincing challenge.